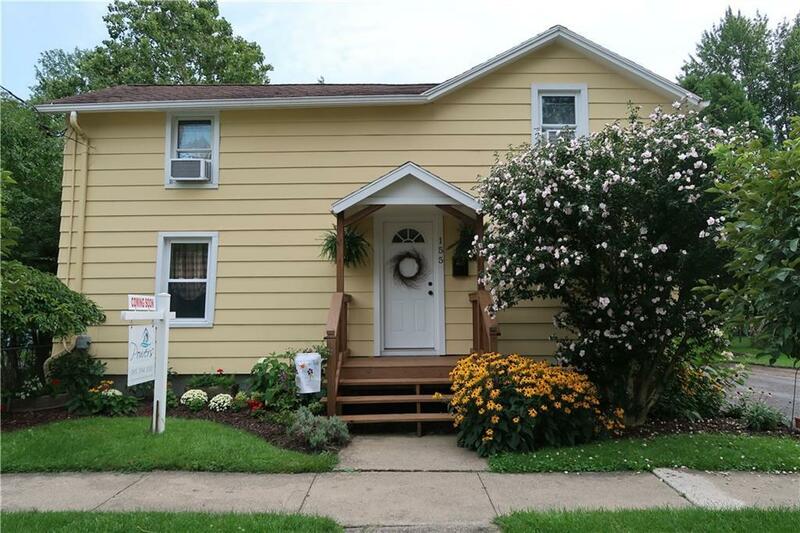 Lovely country cottage style home with huge park-like .66 acre city lot that backs to Sonnenberg Park. Impeccably maintained. Three bedrooms, one bath. First floor bedroom. Large living room that opens to eat-in kitchen area. Additional first floor playroom/office/den study. Renovated first floor laundry area with mudroom. New 2017 13' by 13' storage/work barn with additional 10' by 14' shed. Hot water heater and furnace approximately 5 years old. New 2017 blacktop driveway. Directions To Property: North Main Street Canandaigua To Fort Hill Avenue. #155 On Right With Sign.